Headed to the Caribbean island of Guadeloupe? Find out what to bring including shoes, clothing, and other essentials! Here’s what to pack for Guadeloupe! Guadeloupe is a stunning archipelago made of five islands spread across the Caribbean Sea. Most tourists choose to stay on one of the two main islands: Basse-Terre and Grande-Terre. Guadeloupe is often called the “butterfly island” because the two islands resemble a butterfly and are connected by a bridge. The native people who first inhabited the island lovingly called it Karukera, which means “the place of beautiful waters.” Most of the people in Guadeloupe speak creole. As a part of France, Guadeloupe has that French touch, like its sister island Martinique. Yearly temperatures average around 82°F / 28°C, so it’s safe to say that you’ll never need a jacket, boots, or gloves. Plastic is your friend! Since Guadeloupe is known as the island of blue waters, there’s no doubt that you’ll want to pencil in some serious beach time. Play it safe with a waterproof phone case that can keep your phone from getting damaged, especially if you plan on taking vacation selfies. The powdery soft sand may be a dream to lie on, but its ability to get everywhere must not be underestimated! Instead of a traditional straw or cotton bag, I suggest bringing a plastic beach bag that’s cute and easy to clean. Love taking travel selfies? These smartphone camera accessories will help you take phone pics like a pro! The rainy season starts in June and ends in November. It coincides with hurricane season, and in the later months the rain showers become sporadic. That means you could be on the beach having the time of your life and the next minute get poured on! 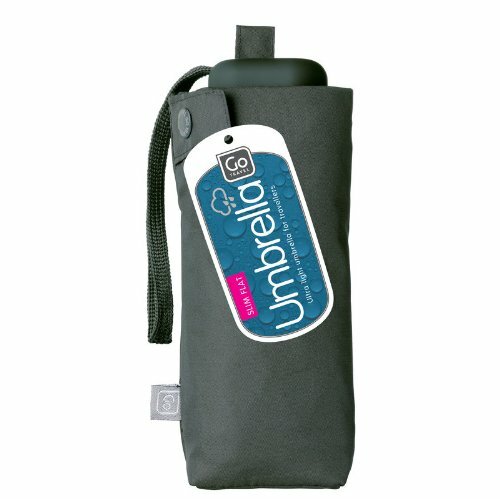 Instead of planning your days based on what the weather says, it’s far better to be prepared at all times by bringing a small travel umbrella. I recommend bringing a high quality, solid one, because cheap ones always fall apart! Here’s what to wear on a rainy day when you’re traveling! There’s a “magic hour” in the Caribbean, and I’m not talking about the time to watch the sunrise! Between the hours of 3:30-4:30pm, the mosquitoes come out to play. While you can be bitten any time of day, this hour is the absolute worst. To be sure you don’t end up with unwanted souvenirs from your vacation (bites can often leave scars), do your best to avoid bites. To really fight mosquitoes, you should bring bug spray with DEET or citronella. 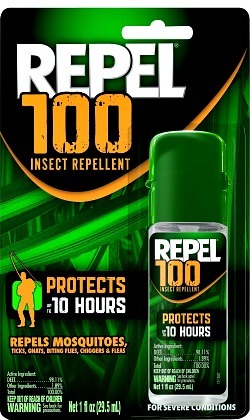 Find out the best insect repellent! Cotton pants and a light sweater are the best way to keep the mosquitoes away. They’ll also serve you well late into the evenings when the temperatures dip. It never gets “cold” in the Caribbean, but at night and in the month of December it does get a little cooler. 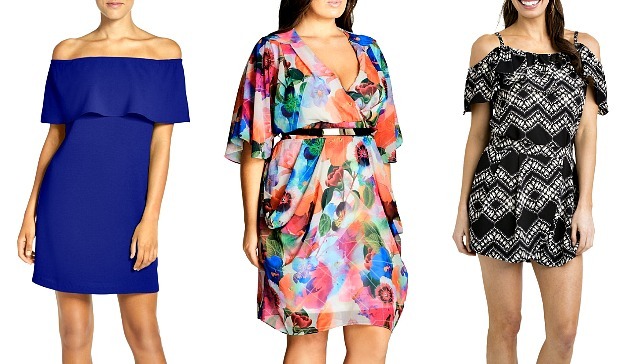 Vacay Style offers beautiful beach clothing that’s functional and luxurious! Aside from beaches, Guadeloupe has waterfalls, a volcano, and a national park. If you’re looking for adventure, bring a pair of sneakers for hiking and a solid pair of water shoes to protect your feet from rocky patches! Water shoes don’t have to be unattractive! You’ll never see locals wearing flip-flops, ripped jeans, or cut-off shorts to go out at night. Despite the ever-present island vibes, people still take dressing well very seriously. Zouk and Kizomba are popular dances here. To be sure you land a partner, dress the part with a cute dress and nice sandals. For outdoor events, a nice pair of high-waisted, patterned pants and a crop top will work equally well. Here are our favorite cute summer dresses! Bring your favorite essentials in small quantities and you’ll be set. 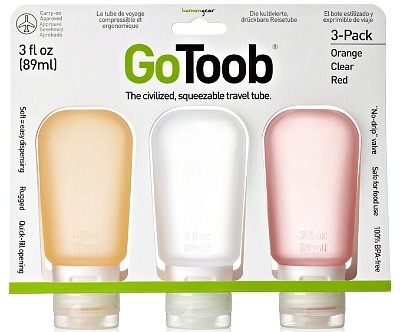 These are the best travel containers! What are your tips on what to pack for Guadeloupe? Share in the comments! 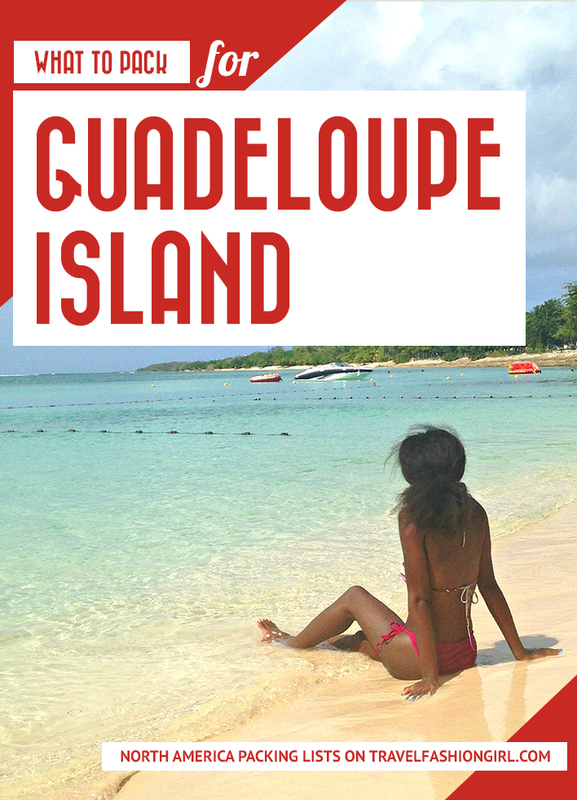 I hope you liked this post on what to pack for Guadeloupe. Please share with your friends on Facebook, Twitter, and Pinterest. Thanks for reading! Author Bio: Francesca is a California girl who left her job as a Marketing Coordinator to pursue her dreams of launching her own travel guide series. 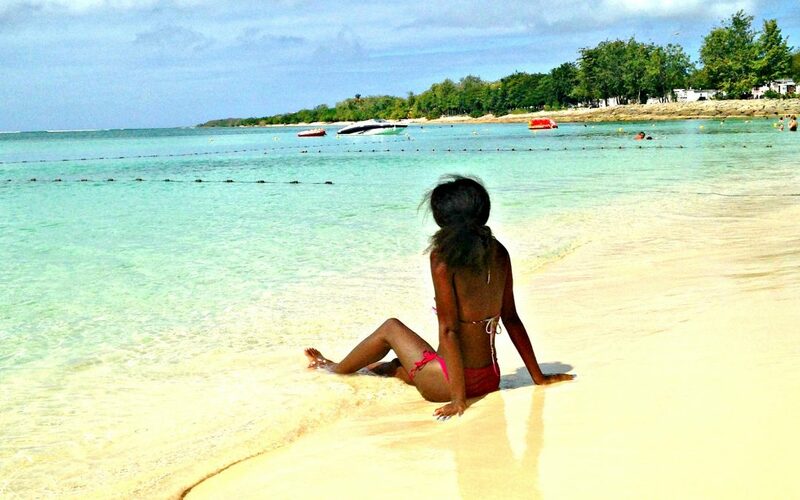 She’s an expert in Caribbean travel and released a full-length guide to the French island of Martinique. For more insider travel tips and inspiration visit her blog at One Girl One World. Most of my travel is to Caribbean destinations for diving. I love combining your tips with my ever-evolving pack-lite goals. I use almost all of the above items and found things over the years that are keepers ( like go toobs and packing cubes). I’ve even turned my dive friends onto your site for tips! Keep them coming! Thanks Andrea! We have dive posts, too. I’m a scuba diver!